I like to think I’ve got my client’s back. It’s a mantra of mine. I find myself saying it in consults and strategy sessions. It’s something I want my clients to feel. I can see through to the end of the process… even when they can’t. I can see the beautiful result… even when they can’t. There is one spot though, that gets sticky for me. It’s unpredictable and it requires clarity on the client’s part. Clarity that I can’t conjure up without them. Over the years, I’ve watched clients get stuck – and projects completely stall – always in the same spot. Providing content. The best solution is to encourage clients to work with a copywriter, hands down. Unfortunately, our clients don’t always have that option, or don’t believe they need copywriting help (more on this in a bit). So how can we support clients through this tough task? As strategic designers, we need to create a solid content-gathering system that has our client’s back. Use the content due date as the anchor for scheduling the rest of the project. 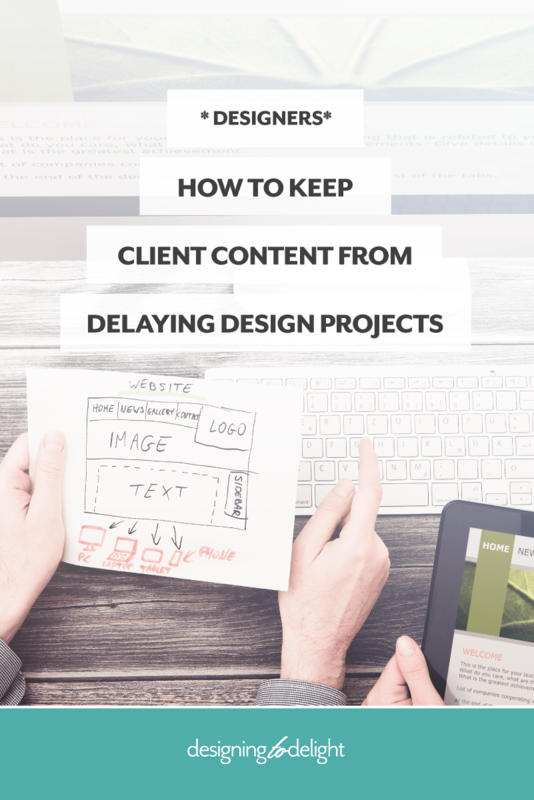 Your process should clearly define when you need content from your client and give them ample time to do it. 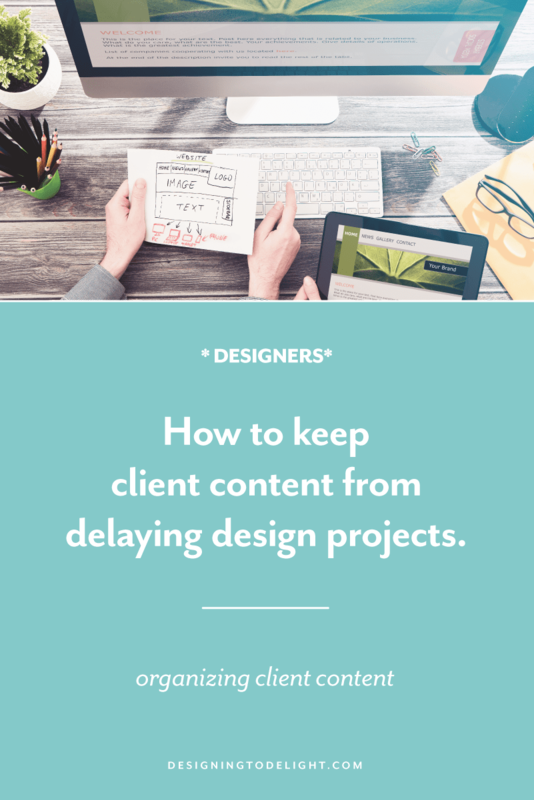 I usually schedule my projects around when my clients will commit to having their content to me (think of content as the anchor point that the rest of your schedule builds upon). Depending on your workload, you can dictate when this date needs to be. Adjust these timeframes as needed to suit your process and the types of projects you typically work on. Not only do I have a commitment to a specific due date, but now my client has 7-8 weeks to complete their content (or more if I’m booked out a bit). Contrary to popular opinion, I don’t like the “content first” approach. I don’t think it serves the client. Break down big tasks into little ones. Give me a big huge task and any day of the week, I’ll do 16 other little things to avoid it! I can only imagine it’s the same for clients when we tell them to provide content with no guidance. Just as we should be helping them visualize the final design with our design process, we need to facilitate the content-gathering process in a similar way. Looking to the scheduling sample above as a guide, you should know your client’s sitemap and homepage structure fairly early on (about a month before content is due). Based on what you know at that point, how can you break down that big task into smaller ones? You’ll be more likely to get back exactly what you need, if you help your clients through this process. I recommend creating a master set of content tasks and finetune it for each client. Create a system of reminders. I use Basecamp to manage my design projects. 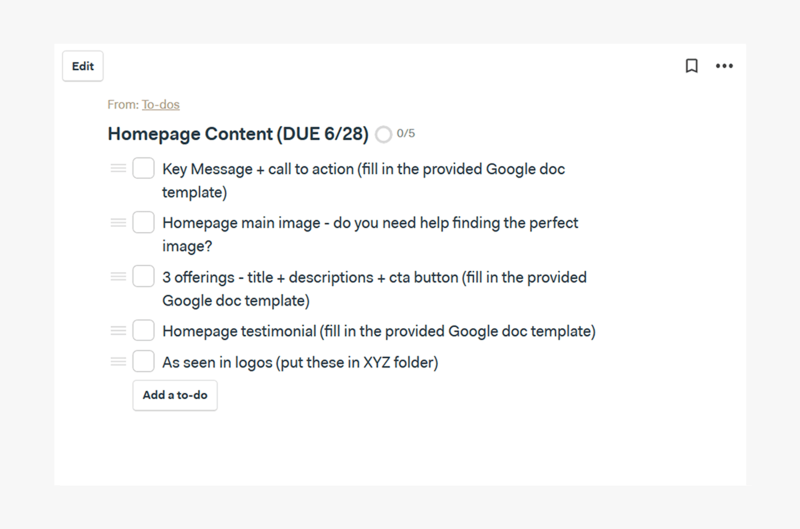 Within Basecamp, I can create a set of to-do’s (similar to the one above) and assign them to my client with a due date. Not only does the system remind them of what’s coming due, but I can also look at “what’s on someone’s plate” at any given time. Content Snare is another great tool for capturing client content. I recommend crafting simple check-in reminders 1x per week while your client is in content creation mode (don’t wait until the day before content is due to check-in). Check-ins are a good way to make sure they aren’t stuck and gently remind them that you expect them to meet the content “anchor” date. Your content is due 6/28. How is content creation going? Is there anything I can clarify or breakdown further for you? 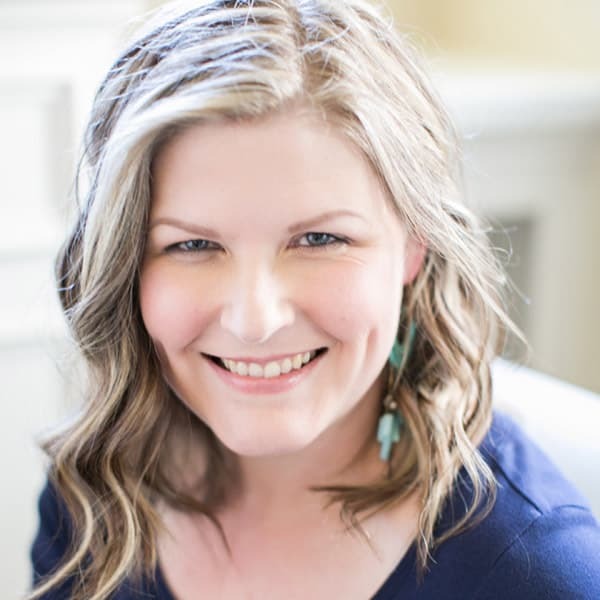 Create tools to help clients through the sticking points. Give them a visual guide. Show them what you mean by providing examples of other websites, or curated ideas for them to reference. I found myself providing examples frequently enough that it was easier to create a content planner for clients. I provide my content planner at the beginning of our work together so that I can refer back to it on our strategy call. Everything I need to reference is all in one place — examples, content ideas and checklists for different page types. Provide a wireframe. Recommend how much and what goes where to your clients by providing a homepage wireframe before you ask for content. More often than not, clients don’t understand what it takes to influence someone to act. Instead, they default to “talking” at length about their services. Asking for content without your input can lead to home pages with too much content and poor prioritizing. Provide your input via a wireframe with dummy text to show your client the ideal content length for the different areas of their website. Create a content workbook. There are high-value ways to help clients through the process without significantly adding to your own workload. Try creating a client content workbook (different than a visual guide) to help your clients with initial content creation. 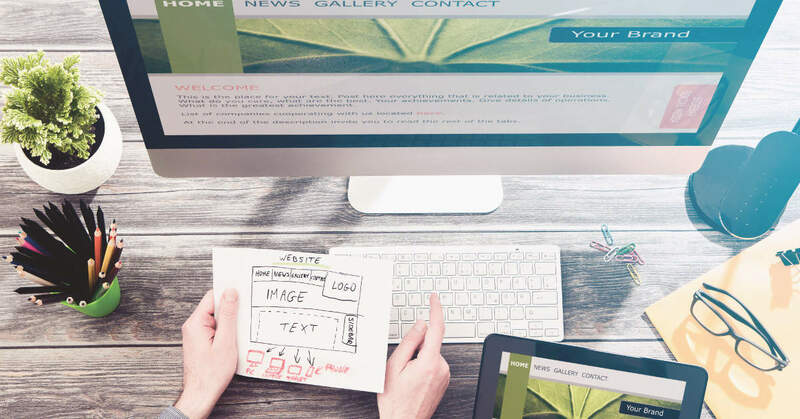 A visual guide shows them finished examples, while a content workbook extracts the content that will become the foundation of their website copy. A content workbook should explain the purpose of each page, as well as ask clarifying questions to generate content specific to that page. Teach your clients the importance of priority in formatting. There’s almost nothing worse than sifting through poorly formatted content… like fingernails on a chalkboard. Here’s the thing… we can control what we receive from clients. We just need to educate them about how to provide content back to us because clients don’t have the same sensitivity to formatting that we do. Show them what you mean. I use a set of simple master templates (Google docs) that I tweak for each client. Clients use them to provide their content back to me. The templates have dummy text and suggestions for what to include and how to format it. Partner with a good copywriter and guide your clients to good content. We can all write, but we can’t all write good website content. Copywriting is a skill, just like web design and digital strategy – and your clients will get better results when they work with an expert. Empower yourself to discuss the value of quality content with your client. Educate them on how content and design work together to get results. Then be ready to suggest that they work with your strategic partner to create great content for their site. And if your client insists on writing content themselves? Create a content-gathering system that has your client’s back AND make sure you charge for your expertise, time and feedback. Are you tired of wrestling with your client’s content? Which of these tactics would help improve your process the most?